Finding the perfect reading from your ceremony can be ridicously hard work- I remember! I find they are either too long, too cheesy or just too deep. 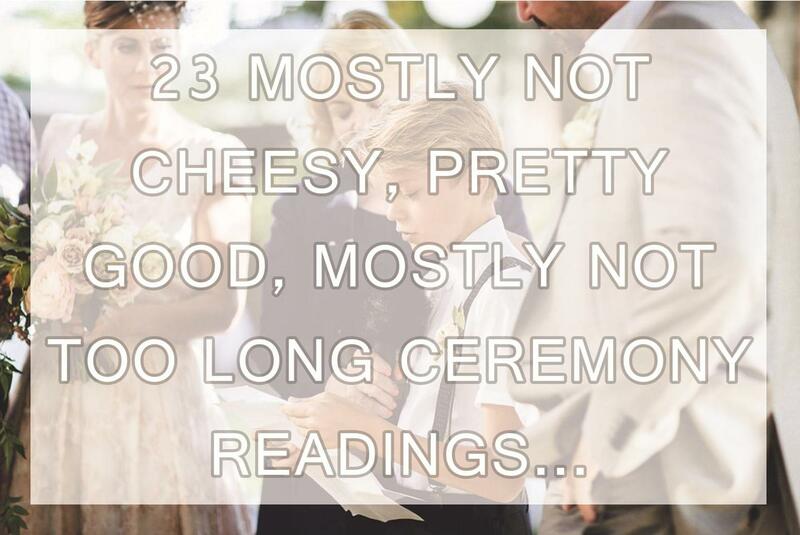 Here's a list that contains mostly not cheesy, pretty good and mostly not too long readings for your wedding ceremony. Happy reading! often say, "I love you!" be conveyed in the narrow confines of one syllable?